Now that the mayor is reforming TIFs, it's time for another progressive fight. 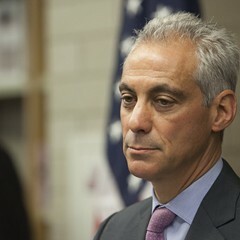 Paul Beaty/AP Photo Even after announcing cuts to the schools, Mayor Rahm Emanuel is desperate for more money. 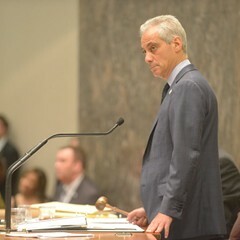 It was my beloved Bright One—home delivered as always—that brought me the good news about Mayor Rahm's tax increment financing reform. Yes, I'm willing to use the R-word in this instance. 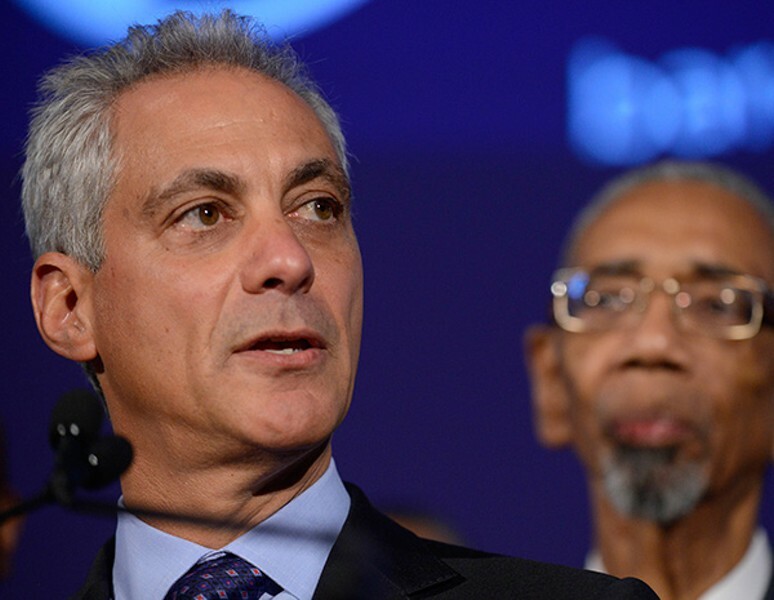 "Mayor Rahm Emanuel plans to freeze new spending in seven downtown TIF districts—and shut those districts down when existing projects are paid off," reads the start to Fran Spielman's Monday-morning Sun-Times scoop. "It turns out that dude from the Reader was right." OK, she didn't write that last line. But it was still a happy day in my neck of the woods, since I've been pounding at the TIF program for so long I've lost track. Tax increment financing is the scheme in which the city, ostensibly to help eradicate blight in poor neighborhoods, slaps a surcharge on the property taxes you pay, then diverts it into bank accounts largely controlled by the mayor. Since the late 1980s the program has generated more than $6 billion in slush. When I first starting writing about TIFs, I thought, "When the good people of Chicago read about this scam, they're gonna vote Mayor Daley right out of office." Boy, did I overestimate the rebelliousness of my fellow Chicagoans. Instead, it took years to start tipping the scales. 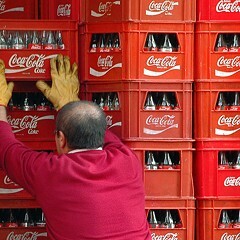 The economy tanked. Daley got so desperate he sold off the parking meters. Rahm came into office promising to "reform" the TIFs—but kept the scam going long enough to pledge TIF funds to a new stadium for DePaul and hotel for Marriott in the South Loop. By then a whole bunch of activists and union members were on the case, clamoring for an end to the TIF handouts. And now this news. It means Rahm is finally getting ready to give up a good chunk of the slush pot. Apparently, he's decided to shut down seven of the city's most lucrative TIF districts, which are in or around decidedly nonblighted downtown areas: Chicago/Kingsbury, River West, LaSalle Central, Canal/Congress, Jefferson/Roosevelt, Roosevelt/Canal, and River South. Of course, the mayor hasn't released all the details, so pardon me for thinking that he may have a trick or two up his sleeve. Wait! I was supposed to be praising the mayor. OK, if Mayor Emanuel makes good on his promise, this will rank among his three greatest achievements—right up there with returning social promotions to our public schools to bring down the dropout rate and showing 20 Feet From Stardom last summer on the big screen at Millennium Park. Hey, you try finding something nice to say about his reign. That brings me to what I believe to be the next great cause in Chicago: a financial transaction tax. It's been on my mind since I started getting calls from Joan Kufrin, a legendary freelance writer and editor who got her start writing articles for Herman Kogan, an institution in Chicago journalism, when he was editing the newsmagazine Panorama. "I was so upset about what's happening to our city and state," she says. "The amount of debt we have—it's so overwhelming. Bonded debt. Unpaid bills debt. Pension debt. This is nuts. You need billions to get rid of this debt and start adequately funding our schools. And that got me reading about the financial transaction tax." 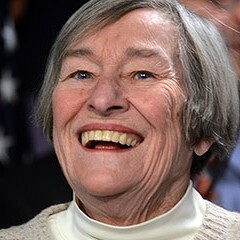 The more she read, the more she was convinced that slapping a small tax on financial transactions like the selling and buying of stocks, bonds, and options would be a relatively painless and progressive way to bring in the billions of dollars needed by the city and state. She thought the idea warranted discussion and debate, if only to address the counter-argument that such a tax will drive traders and brokers to Indiana. She wrote her findings in a letter and backed them with facts and sources—just as Herman Kogan would have demanded—and sent it to Governor Bruce Rauner, Mayor Emanuel, house speaker Michael Madigan, and state senate president John Cullerton. "I'm writing not to assign blame, but to ask you to consider the following facts, which I believe could allow all of you, together, to extricate Illinois and Chicago from a seemingly impossible quagmire," she wrote. Noting that state rep Mary Flowers had proposed a financial transaction tax in 2013, Kufrin wrote: "Had it been enacted into law, in 2014 this penny tax on financial transactions would have raised $116.1 billion for the State of Illinois, with $11.6 billion of it coming to Chicago. It died in committee." She mailed that letter on June 5. So far neither Madigan, Cullerton, nor Emanuel has replied. That's not a big surprise—they helped usher in a state tax break for the Chicago Mercantile Exchange in 2011. Battling the clout of the Merc and other traders may even be tougher than getting the mayor to close down some TIFs. 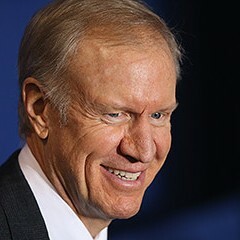 For what it's worth, Rauner's office sent a form letter thanking Kufrin for "taking the time to reach out" and assuring her that the governor's staff "has received your idea and is reviewing it." Rauner closed by giving Kufrin his office number, as though he were standing by the phone waiting for her call. Well, he's not. State representative Barbara Flynn Currie says the state won't consider picking up CPS pension costs until the city changes its ways.